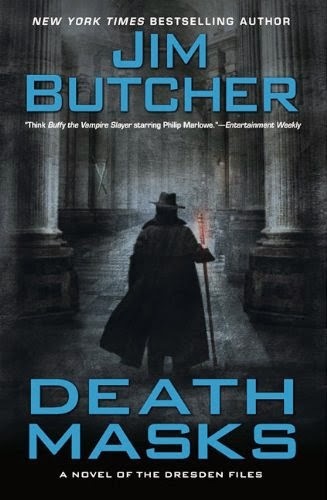 We continue our readthrough of Jim Butcher's uber-popular urban fantasy series The Dresden Files today with book five, Death Masks. The continuing plan is to do a book a month on the first Tuesday of each month, and with 15 books on the publication schedule between now and when our readthrough is over, and perhaps our timing being good enough for the 16th, our reading list should be pretty full for the foreseeable future. When I embarked on going through this readthrough, I expected to like these books. They're not terribly reviled by a large segment of readers, generally held in high regard, and so on. What I didn't expect was to continue liking each new book more than the one before it. I thought Summer Knight was great and the best of the series. How on earth is Death Masks even better? Book Giveaway! 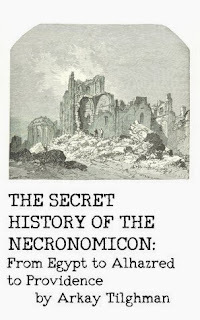 Arkay Tilghman's "The Secret History of the Necronomicon"
I do love any and all things Lovecraftian, so when I saw that there was a short book called The Secret History of the Necronomicon available, I knew I had to check it out. 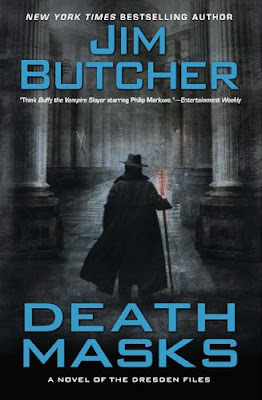 The book is a perfect blend/blur of historical researching and Lovecraftian tomfoolery, and it's a fun bite-sized piece of literature that I got a lot more enjoyment out of than I had originally thought I might. 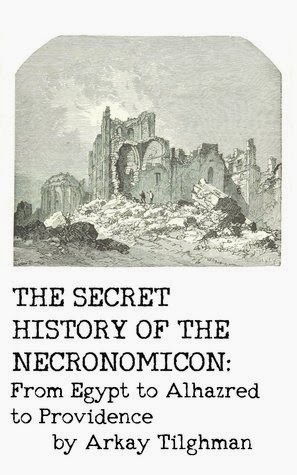 With a travel through the history of the idea of The Necronomicon to some of the fictional information to go along with it, it's a cool addition to the overall genre and Cthulhu Mythos. The author, Arkay Tilghman, was kind enough to offer us two copies of the ebook to give away. I have one MOBI (for use on Kindle) and one ePub (which will work on a Nook or with most anything else) for giveaway, but this one is more interactive: if the Great Old Ones actually came by and brought about the end times, and you were lucky enough to not descend into complete and total madness, which Lovecraftian creature would you want to keep as a pet? FPcast! The Fruitless Pursuits Podcast for January 6th 2014! 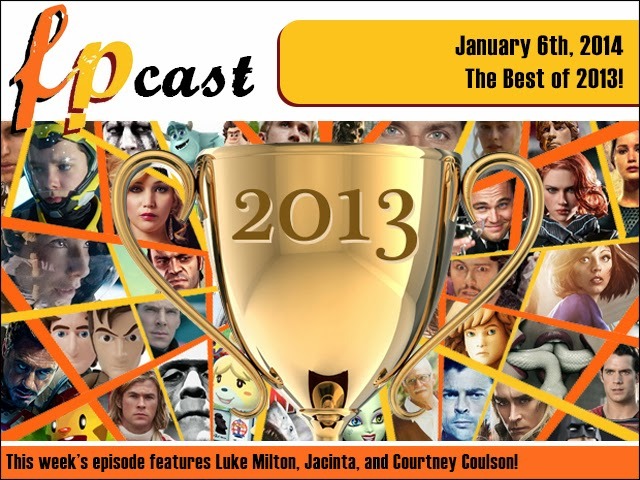 The BEST of 2013! Happy New Year! To celebrate, we take a look back at all their favourite pop culture happenings of 2013! We share our Top Ten film lists, favourite film moments, favourite performances, favourite videogames, television shows, collectibles and MORE! Please join us for differing opinions and much nerd controversy! And why not subscribe to us on iTunes? !